When it comes to cannabis, prohibitionists are quick to bang their drum talking about the perils of addiction. So what is the real story? We take a look. Cannabis legalisation is a popular topic in mainstream society, yet the legalisation movement is faced with constant hurdles that need to be systematically overcome. 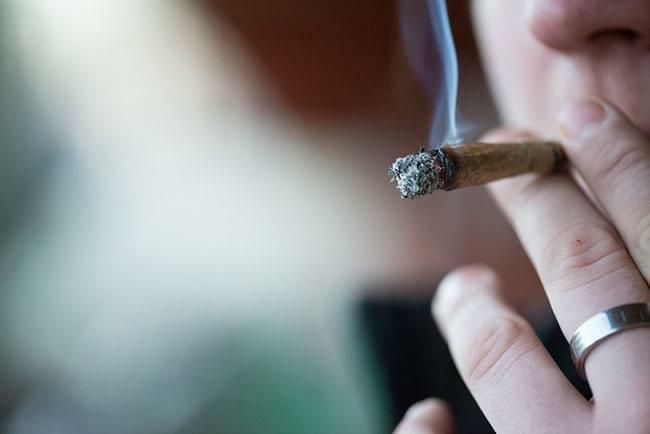 Ever since cannabis legislation began, there has been a barrage of stigma and myths surrounding its use, with addiction being at the forefront. As a society, we often find ourselves surrounded by habitual consumption. Whether we like it or not, we have all over-indulged at some stage in our lives. Be it social media, coffee, cigarettes, alcohol… legal or illegal. All types of substance dependence and addiction can be classified into general criteria based on how it affects you physically and psychologically. Cannabis is no different. However, many assume cannabis is highly addictive, and this is false. It is not a substance that your body physically craves more of. Instead, cannabis can cause a psychological dependence – in the same way you may feel the need to watch TV or have a bath to truly relax. Research conducted suggests that 9% of people that ever try cannabis will become dependent at some point in their lives – often using it as a coping mechanism or a way to unwind after a hard day. A dependence rate of 9% sounds quite scary, but when compared to other psychoactive substances such as alcohol, cocaine, heroin and nicotine, cannabis remains the least likely to put a hook in you. Not to mention, the stress of breaking a dependence is nowhere near as bad as trying to give up caffeine or nicotine addiction. A popular argument against cannabis is that cannabis is more addictive among teenagers. This is a hard measure to take. The unregulated nature of the black market makes it much more accessible to teenagers than the regulated alcohol or tobacco markets. It makes such it hard to draw a conclusive comparison. However, evidence suggests that where a regulated market is introduced, cannabis use amongst teenagers goes down. So there you have it. It’s all in the mind! Cannabis is one of the least likely drugs to get you hooked. Your personality type and personal background will have a large part to play, but regardless of who you are and where you’re coming from, if you enjoy using any kind of substance recreationally, be safe and always be conscious of wanting more!